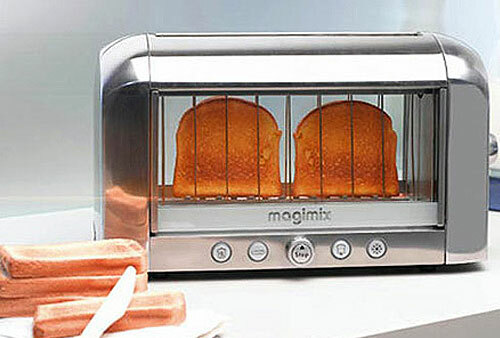 Check out this very cool toaster design. Sleek looking thing. Have you ever burnt your toast? 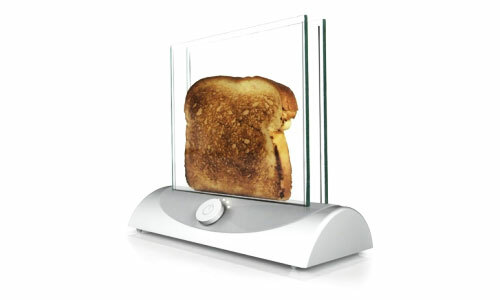 Did you ever wonder why they don’t make a toaster with transparent walls – so you won’t get surprised by your toast that comes out too dark? Seems like such an easy solution. Well, Magimix actually did something about it. 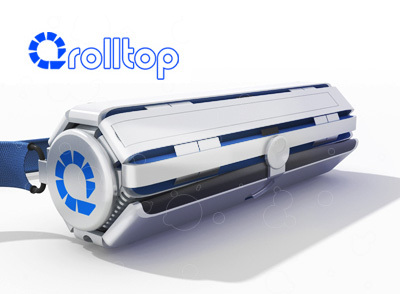 You can scroll down a bit more and see an older Â concept of this, although that image looks just like a concept. Â With the Magimix version it actually looks like it is starting to sell, although I am not sure. Â You can watch the video below.